Buying a treadmill for home use can be a worthwhile investment, aiding in overall better health and well-being. With the ease of having your own machine at home, working out is within reach and more enjoyable. When it comes time to buy that treadmill, though, there are quite a few things to think about. I hope to aid you in your search for the perfect treadmill today by giving you the ProForm 505 CST Treadmill review. This is an incredibly capable machine that has everything you need and more to help you reach your fitness goals. Let’s see if this is the right treadmill for you. The ProForm 505 is great for the beginner to intermediate level runner looking to get some daily cardio in. 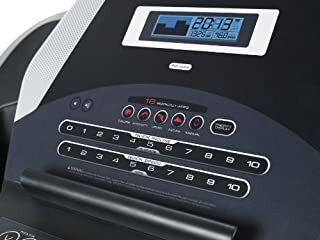 It is a well-made, durable treadmill made with just the right number of features to keep any runner motivated throughout their workout. Maximum user weight 325 lbs. At measurements of 68″ x 73″ x 36″ inches, this treadmill is not necessarily the smallest of the bunch. Though, as a runner, I would rejoice at these dimensions. It means enough room for your elbows and plenty of track to run on with a 20 X 55-inch tread belt. This is a heavy-duty treadmill as it easily carries weights up to 325 lbs. Now that we’ve got the specs out of the way let’s get into the good stuff: the features! One of the most impressive features on this treadmill is the updated, large motor made with high-grade components. It runs on 2.5 continuous horsepower meaning the motor won’t wear down even with your hardest workouts. The flywheel-to-gear ratio has been made faster to keep up with the quickest runners. For those who want that extra burn, you’ll love the incline feature. The tread inclines from 0-10%. You won’t need to stop the treadmill to get an incline- feel free to increase or decrease your incline level while you run. The tread inclines in a smooth manner with no jerky movements or sudden jolts. Another key feature of this treadmill is the attention that ProForm has given to shock absorption. With ProShox Cushioning, ProFrom has made running easier on those all-important joints. Joints in your knees and ankles usually endure high impact and pain from running on hard surfaces. Users rarely complain that their knees or ankles hurt after a workout on the ProForm 505 CST. You are given speeds of up to 10 mph. This paired with the incline options proves a challenging workout for any type of runner. 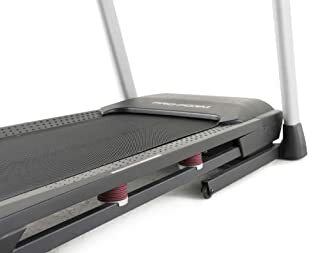 The treadmill can be folded up vertically to save space if needed. Added bonuses are two large cup holders and a media ledge to hold your Kindle, tablet, or phone. A large 6-inch backlit display shows all your key figures: distance, calories, time, speed, and heart rate. The screen is user-friendly, with Quick Speed buttons to fix your speed and incline levels with ease. The console also holds 18 workout programs created by certified personal trainers. You will have no shortage of motivation and variation with this many programs. Need more motivation? Use the auxiliary jack to hook up your device to watch your favorite shows or listen to your favorite tunes through the two 2-inch audio speakers. 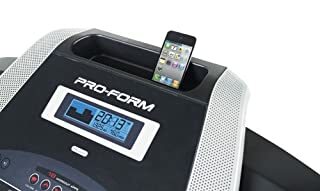 Perhaps they’re not the loudest treadmill speakers around, but many users appreciate not having to wear headphones while they sweat. As far as warranty goes, you get a lifetime warranty on the frame, a 25-year warranty on the motor, and 1 year on parts. ProForm is known for having great warranties to match their stellar products. Customer service is always helpful and prompt. Assembly on the ProForm 505 CST Treadmill will take around 2-2.5 hours. It is recommended that you grab a friend to help out with construction. The directions are easy to understand and follow. You’ll want to make sure that you follow each direction step by step to ensure ease of construction. To download ProForm 505 CST Assembly & Owner’s Manual click here. This treadmill comes in at a fantastic price point for the number of features and quality that you are getting. What I love most about this treadmill is the ProShox Cushioning feature. Damage to joints is something that should always be avoided, but for those who enjoy running, this is inevitable. ProForm has helped curb this inevitability with their careful attention to this very feature. It has helped make running more fun and feasible for everyone. 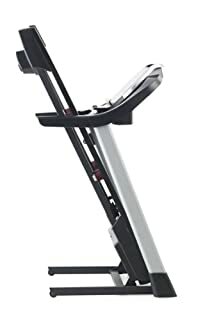 Besides better for your joints, this treadmill combines intensity levels, speed options, and 18 workout programs to allow for versatility of use. Entry-level to advanced runners will have something to look forward to on this treadmill. For those who are looking for speeds of up to 12mph or higher incline/intensity levels, this may not be the treadmill you’re looking for. Although this machine is fairly quiet while in use, some may find it pretty loud while running at higher speeds. 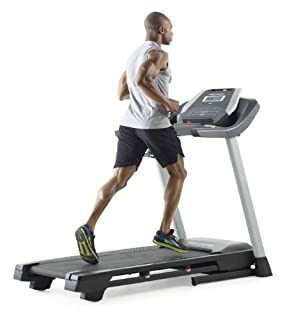 I think most treadmill runners understand that some noise will be made as your feet hit the tread with higher impact anyways. Overall, this is a great treadmill offered at an affordable price. It allows for versatility and ease of use and even throws in some extra features to please users even more. For those who need a little extra motivation and dislike going to the gym, this treadmill may be the one to get you moving again. The features allow it to be an entertaining experience as well as one that is good for your health. But, don’t take my word for it. After reading this ProForm 505 Treadmill review, what’s your final verdict?